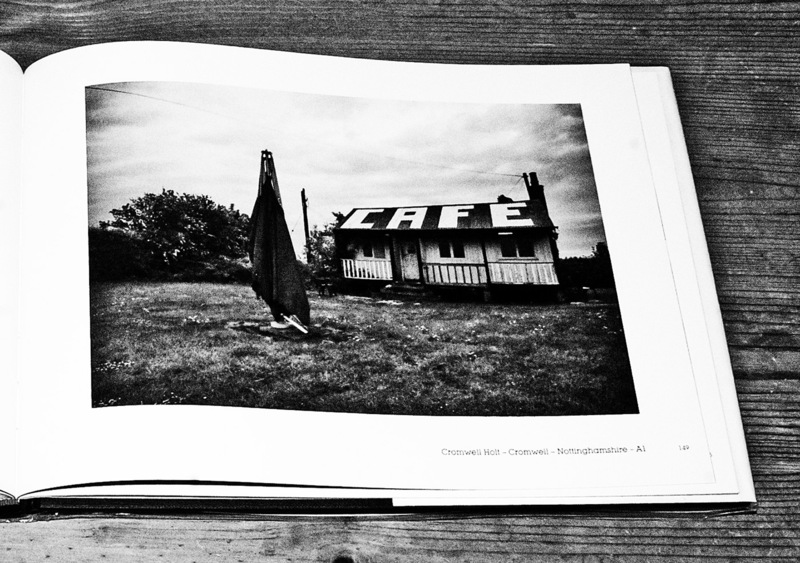 I recently(ish) came across Sam Mellish’s Roadside Britain photography book on a visit to a nearby library (gawd bless ’em). 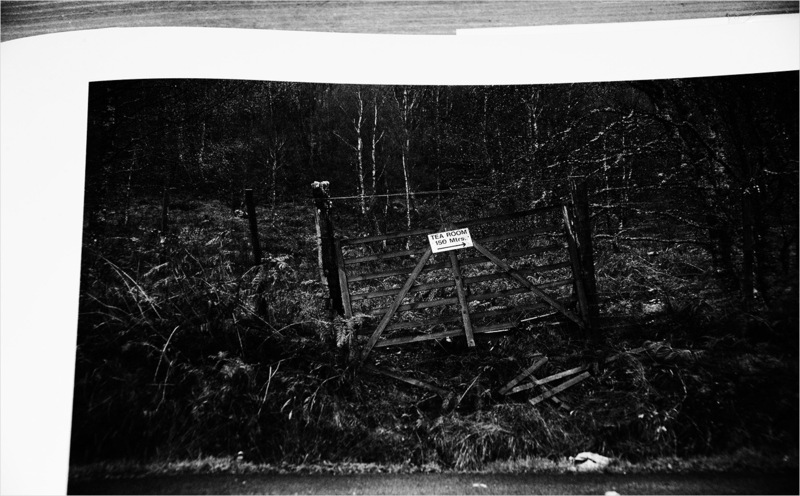 Its subtitle is “Observations of traditional roadside services across Great Britain”. The traditional part is the give away there; this isn’t a study of corporate megalith, franchised stop-offs but rather of generally small, independent roadside caffs; sometimes bricks and mortar but also just as likely to be essentially a shack or repurposed coach/shipping container. 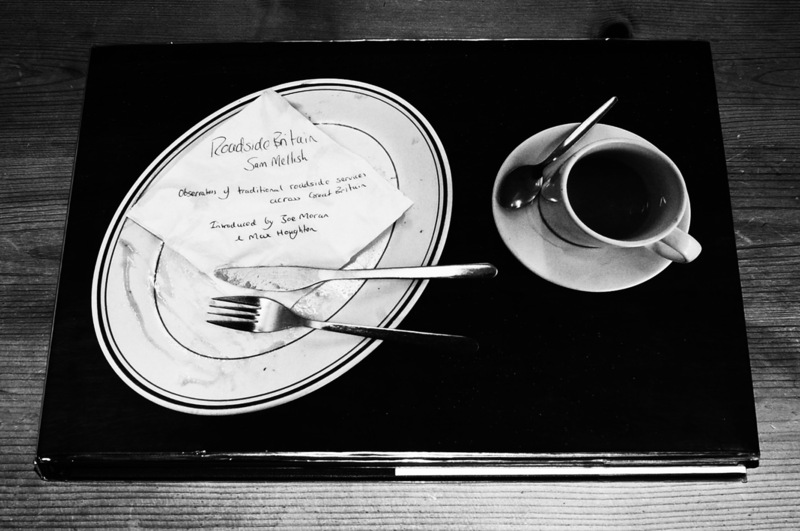 Essentially your good old greasy spoon; the book is a documentation of such places, the food they serve, their locations, customers and Sam’s journey itself. Within the general realms of hauntology and the related sense of nostalgia or loss of an imagined, progressive, modernist future, there is something of a softspot for the often contentious architecture that has come to be known as brutalist or brutalism. Which I feel could well be appropriate to describe the photographs in Roadside Britain; essentially brutalist breakfasts. Which isn’t said in a critical manner, I have a great deal of appreciation for a good, friendly, well run, caff and cooked breakfast and I think they can be good examples of a certain kind of artisan like folk art and craftsmanship. Rather, I think of a brutalist breakfast more in a sense of referring to the efficient, no messing about, “fill ’em up” ethos of bacon butties and the full English. When I was re-looking through the images, what struck me was how much a lot of the places depicted seemed not just belong to transitional edgelands but to have a real frontier-like feel to them; as though they belonged more to some not yet fully developed part of say the outer reaches of the USA, rather than being just up the road or alongside our motorways (Birney Imes’ Juke Joint work and its depiction of outlying, hand hewn drinking establishments in America comes to mind). And there’s a romance to some of the images, a sense of the open road and freedom, that again you would possibly more associate with the wide open planes and spaces over the sea than on this relatively small island. Visit Roadside Britain’s home in the ether here, its fellow companions here and peruse it here. Images from Birney Imes Juke Joint can be found here. The book can be perused here.